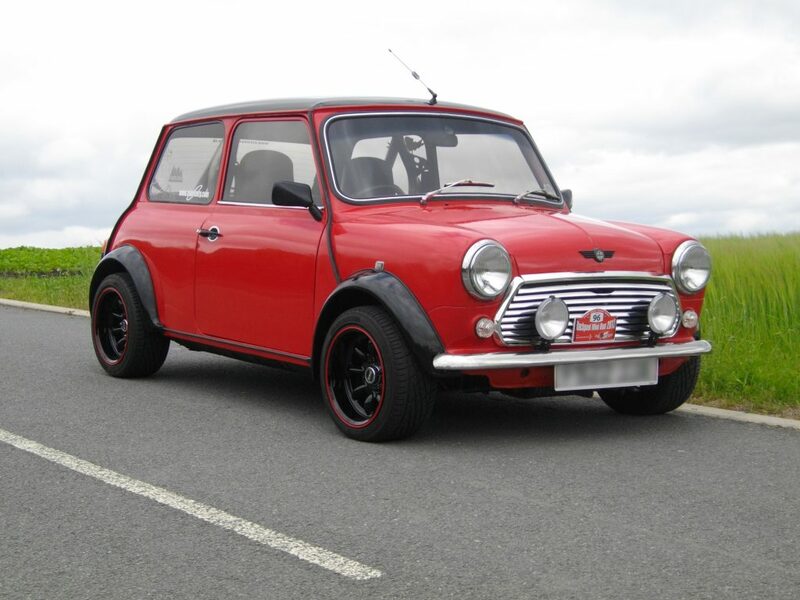 Motorsport fans will remember that Austin is, first of all, two famous for their successes in rallies and races models Mini and 1800/2200, located at opposite ends of the “model line” of the brand. Those who were in London will say that Austin is the famous London taxi of a very conservative kind, considered the best in the world. All of them are right in their own way, but there is a common one for all models of the Austin company, founded by Lord Herbert Austin of Longbridge in 1895. They are compact but spacious inside, convenient, practical, durable, economical and durable cars. All of the above applies to the Austin Mini Metro model, which debuted in October 1980 and was designed to replace the Austin Mini, manufactured since 1959 (hence the “insertion” of the Mini in the title), but despite its indisputable advantages over Austin Mini, and could not change access to the valves to adjust them, and the adjustment itself is very simple and easy. Austin Metro has excellent maneuverability both in the city and on winding roads, stability on the go, thanks to precise and easy steering rack and pinion type. Last but not least, the pleasure from the Austin Metro ride is a very comfortable suspension of the Hydragas wheels, in which the elastic element of the wheel suspension is a chamber filled with an inert gas, and another chamber (filled with ethyl alcohol and distilled with a diaphragm) water in the ratio of 50 to 50, that is, almost vodka, plus an anti-corrosion additive) plays the role of a shock absorber. Springs, springs, hydraulic shock absorbers have no Austin Metro, which means that the suspension will not sag from the “fatigue” of the springs and do not need to replace the hydraulic shock absorbers every 50,000 km: it does not require care. Unlike Citroen’s hydro suspension, there is no hydraulic pump at Austin Metro, that is, the gas pressure in the tightly closed chambers is constant, and its failure due to pump failure (as it happens on Citroen) is excluded, but also to change the ground clearance by changing the pressure, as Citroen, Austin Metro can not. When the Austin company closed, some of the models were decided not to be removed from production, but to another company. So Austin Mini and Metro became Rover Mini and Rover 100. The first Rover 100 were presented to the public in May 1990 with 3 and 5-door bodies. In 1993 there was a modification with a convertible body. In December 1994, after the company moved under the wing of BMW, the model was restyled. The novelty was the first urban subcompact in the model range of the firm, whose relationship with the previous Austin Metro, was constantly rejected by the leaders of the firm Rover. Not accidentally, when presenting this car, the first words were: “The Rover-100 has the same trim as the Austin Metro, the same interior space, the same external dimensions, the same roof, the same side panels and the same doors, but the similarity on this and ends. ” This was said not for the sake of a red word, since the idea of ​​English “midget cars”, which began its incarnation in 1200000 copies of Austin Minor in 1948-1971, – in 5,000,000 Mini, produced since 1949 and finally in 1,000,000 copies. Austin Metro, since 1980, is undoubtedly represented also in the Rover 100. It remains only to consider how the Rover differs from the aforementioned cars in order to better meet the requirements for high-class cars.